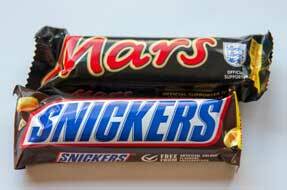 Mars and Snickers chocolate bars are being removed from the shelves in 55 countries after a customer in Germany found a piece of red plastic in one Snicker bar bought in January. The incident has been traced back to the Mars factory in the southern town of Veghel in the Netherlands. The plastic came from a protective cover used in the manufacturing. US confectionery company Mars issued a voluntary recall of its two popular chocolate bars made in its the Netherlands factory. The company says that it is the first time such recall happened for products made in its more than five-decade old Veghel factory. According to a Mars spokesperson from the Netherlands, the company is not sure if the plastic was only in that particular Snickers. “We do not want any products on the market that may not meet our quality requirements, so we decided to take them all back." The recall only involved products manufactured at the Dutch plant. It covers mostly countries in Europe and does not extend to the US. Additionally, the items will be recalled in the UK, Belgium, France, Italy and Spain; and those with “best-before” dates of between 19 June 2016 and 8 January 2017 are included in the recall. Meanwhile, the Agri-Food and Veterinary Authority of Singapore (AVA) has also issued a recall of Dutch-manufactured Mars chocolate products in light of the “plastic” incident. In its press release, AVA was reported to have stated that the affected products were manufactured between 5 December 2015 and 18 January 2016, adding that only products labelled as Mars Netherlands, including Snickers, Mars, Milky Way and Celebrations, are affected by this recall.